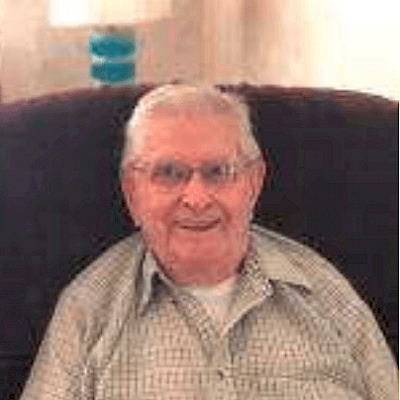 Wayne J. Larson, age 94, of Trego and formerly Eau Claire, passed away on March 19th 2019 at the Spooner Health System. Wayne was born in Stanley Wisconsin on May 10th 1924; he was the first born son of Agnes and Jalmer Larson, big brother to 3 siblings. Wayne grew up during the depression and came out of it a fine young man. Graduating from Eau Claire High School in 1942, Wayne followed his father and mother to Manitowoc to work at the shipyards. So confident of their workmanship, Wayne made extra pay as a crewmember taking the submarines on their shakedown cruise into the depths of Lake Michigan. It was in Manitowoc that Wayne met the love of his life, Marion Hein. A short while later Wayne was inducted into Army. Though separated for a few months, they were united in marriage on June 4th 1944 while Wayne was stationed in Amarillo, Texas, not much of a honeymoon since D-Day was June 6th. While Wayne went through school in the new Army Air Corp, the war had ended. Discharged in 1946, he and Marion headed for Wisconsin to start their family. Wayne was a member of Grace Lutheran Church and various organizations including the Moose, Masons and Shriners. Such a selfless man, as a Shriner he helped raise money for the children’s hospitals and for many years drove the Tin Lizzies in parades around Wisconsin as well as transporting the disadvantaged children and family to and from Minneapolis Shriners Hospital. Wayne loved to fish, and loved to eat fish; Baked fish, fried fish and lutefisk. He was also a proud member of the Eau Claire Chapter of the Society for the Prevention of the Elimination of Lutefisk Eating (SPELE). He always praised the white fish and made a lot of converts. Wayne was preceded in death by his wife Marion, son David and a brother Dr James Larson. Wayne is survived by his brother Robert Larson (Smokey), sister Nancy Thompson, sister-in-law Darlene Larson, sons Stephen (Kay) and Larry (Darlene), grandchildren (David’s sons) Fred Lafley, Aaron Larson and Matt Larson and (Larry’s children) Brian (Judy) Larson, Cynthia (Adam) Llewellyn and many Great Grandchildren and two Great-Great Grandchildren. Interment will be at the VA Cemetery Spooner, Wisconsin at a later date.